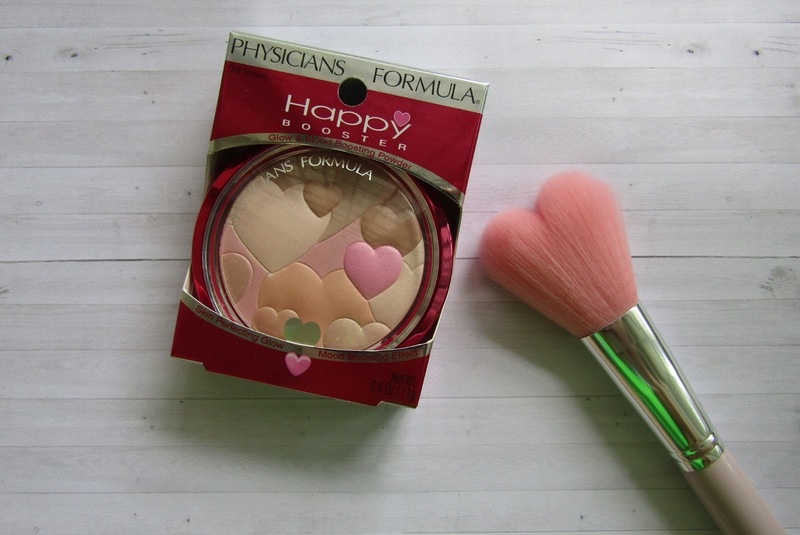 This Glow & Mood Boosting Powder by Physicians Formula is formulated in USA. Dermotologist-approved, free from paraben and gluten, the Glow & Mood Boosting Powder is safe to use for those with sensitivity and acne-prone skin type. 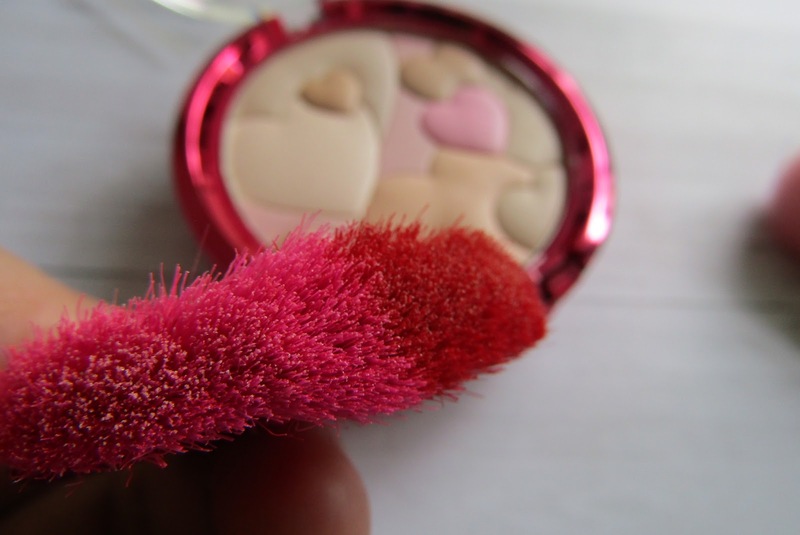 It is also safe to be applied on skin alone (though I rather prep my skin first) or used as a finishing powder. 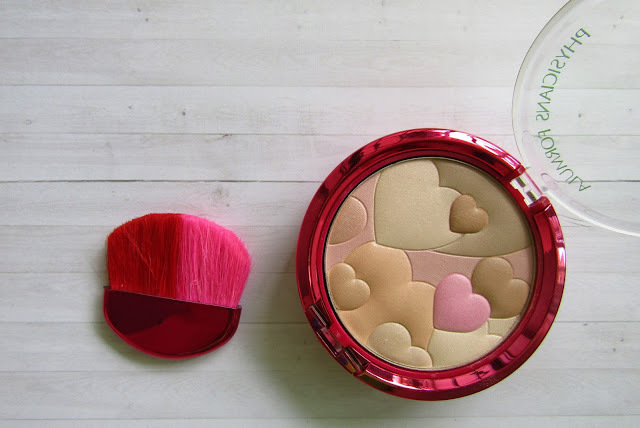 As much as I love the simplicity, the brush picks very little powder and multiple strokes is required to apply the powder on face due to its small size. The brush texture could have been better as it feels rather coarse to touch. I would prefer to use my bigger face brush if there is a choice. 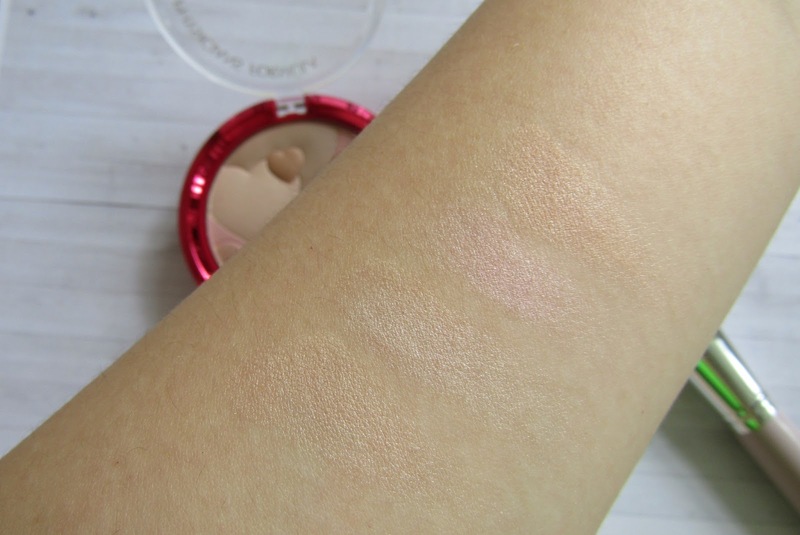 The shades are more of shimer and functions like a finishing powder but not obvious on camera. The shades is rather light on the skin (perfect tone if it's applied on the whole face) but more application is needed to achieve highlights or to cover a wide area. Just swirl the brush to mix the colors and apply it on face and neck to give a healthy radiance. 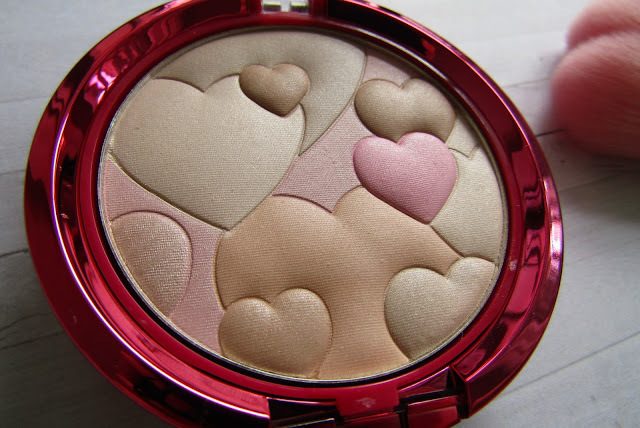 You can also apply the vibrant pink heart as blusher or use the darker shades of brown as contour (though it may be less obvious to those with darker skin tone). In my personal opinion, I prefer to use it as a highlighter as it is easier and faster to apply (unless I have my face brush with me). The scent of lavender infused in this translucent face powder is soothing and barely noticable. Infused with Happy Skin and Euphoryl (natural plant extracts), the Happy Booster replicates the happy hormones of Endorphins and protects the skin from environmental stressor. The Physician Formula Happy Booster is available in other shades; Translucent, Beige, Light Bronzer, Bronzer and is available at all Watsons outlet at RM59.25.